This case study is a look into how I jumped in to develop a single-page WordPress site complete with custom styling in two weeks, launching within our tight timeline. Predicting The Turn is a book recently released (date) by Dave Knox, Chief Marketing Officer of Rockfish Digital. 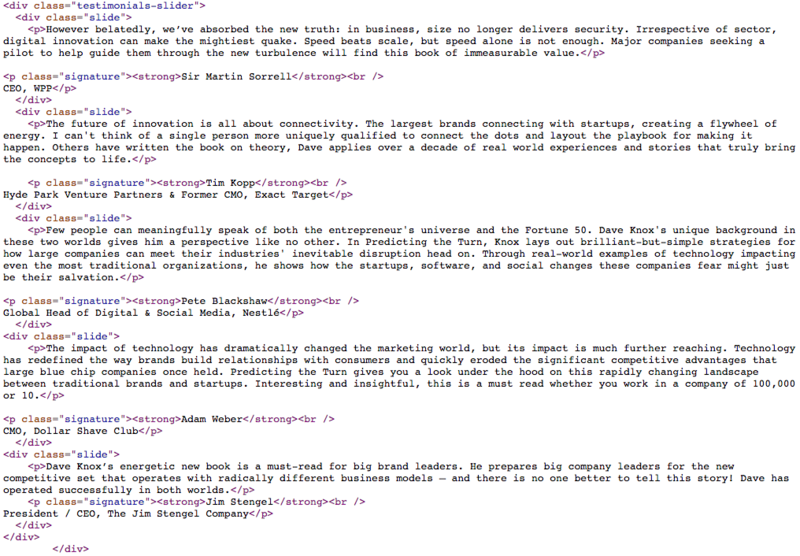 As is common these days, this book release needed a website. Since Dave works for a great digital agency, he used those talents to quickly create a site to deliver information about his book to the public. I came into this project as Creative was being wrapped up. 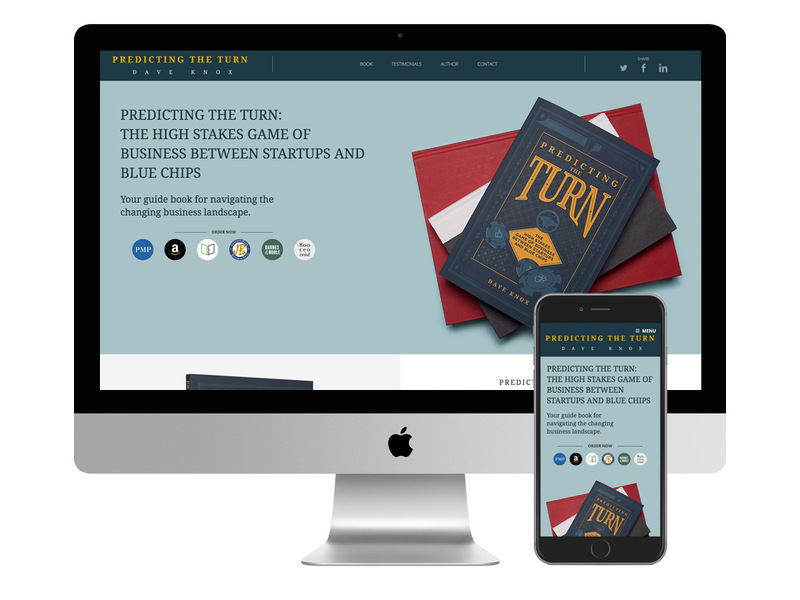 Creative’s objective was to design a site that aligned with the brand of the book while utilizing the components of a well-built WordPress theme in an effort to minimize development time. While the design wasn’t directly tied to a specific theme, it was built using the typical modules you see in most WordPress sites today: stacking columns, full-width and centered everything. Because the budget needed to be kept as low as possible, I decided against buying a specific theme. Instead, I used WordPress’ default Twenty Seventeen theme in conjunction with the Visual Composer plugin to easily layout the content per the design. Then I could create the global and custom styles in the Custom Styling feature of the theme. Although this is a simple WordPress build, it showcases my ability to get up to speed on a project quickly. Once on-boarded, I assessed the situation quickly and created a development plan to align with creative, timeline and budget. From there, I moved immediately into development and established solid communication with the team.